Tiger Cub Full gasket set, made in England, for the earlier model years 1954 - 1959. This will suit the distributor models up to engine number 56359. 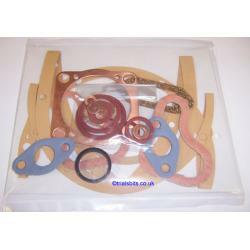 For later distributor models, you will need the post 1960 gasket set.